Branding, Marketing, Strategy, Web Design & Development. 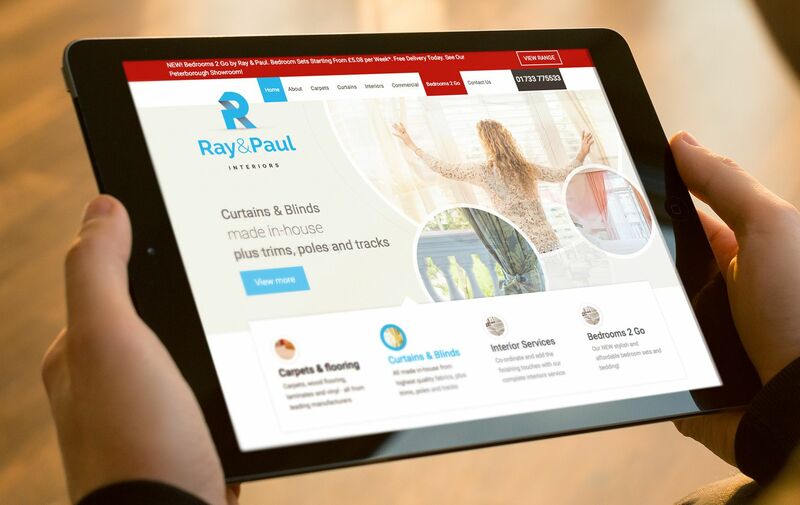 Peterborough based leading home interiors company for over 30 years, Ray & Paul entrusted Brave to review their entire brand strategy from the ground up. As a well-recognised name in the local area of Peterborough, Cambridgeshire, they have become synonymous with service and quality when it comes to supplying and fitting carpets, flooring, curtains and blinds. With the recent addition of Bedrooms 2 Go, they are now going from strength to strength. 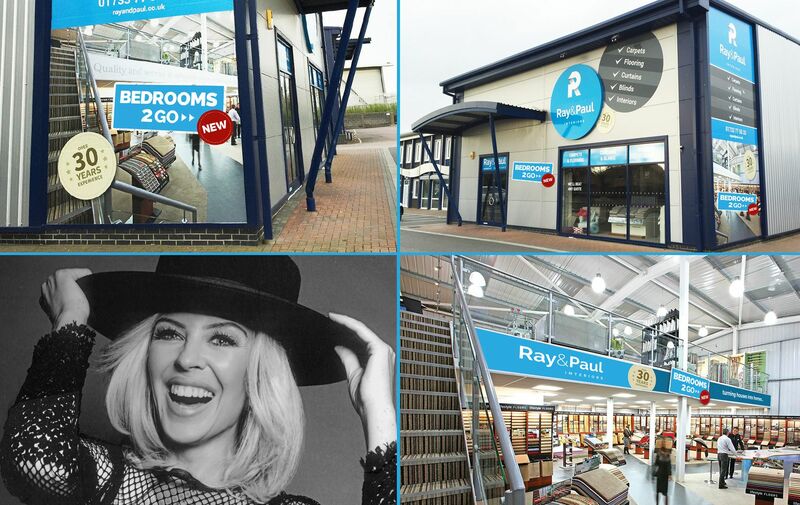 The key objective of our brief was to increase both; footfall to their main trading premises, and brand awareness. Our strategy was to engage in a series of digital and print campaigns, setting KPIs to measure the results and justify the marketing investment. We were asked to take the message ‘turning houses into homes’ and use it as a supporting basis for a brand building campaign. The challenge in hand was to reach as many audiences as possible – from new home buyers and shoppers through to home improvers. 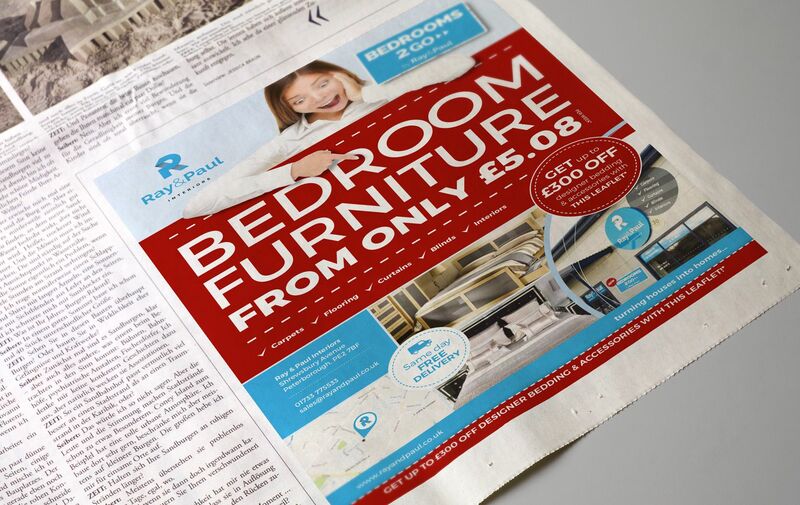 The objective at the heart of our campaign would be to drive synergy between digital and print, bringing together conversational awareness to people in the directly surrounding area. 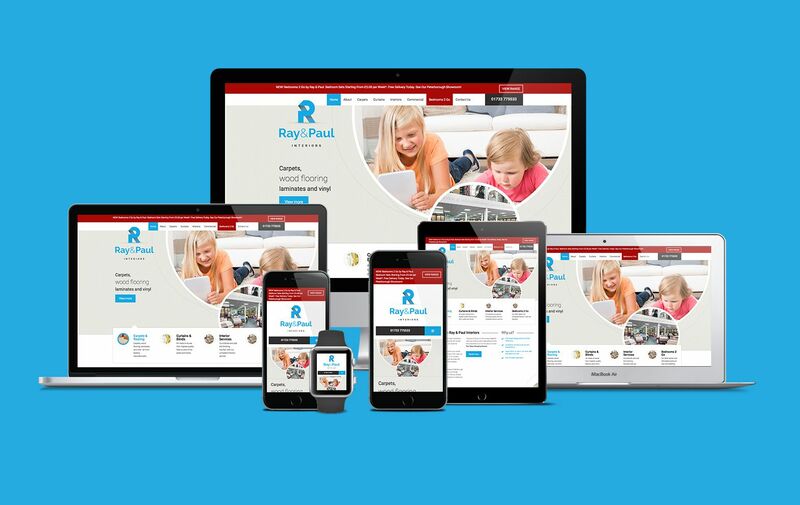 We would then drive the message home that Ray & Paul was the go-to company for improving home interiors. We wanted to build a truly eye-catching brand identity, one which would be clever, distinctive, with clean lines and personality. Since the company background was all about people, service and products, we felt it important to portray this feeling through the new logo design. Our team helped to cement the brand’s local market position, by delivering a full service: from marketing collateral and social media to PR direction. We kicked off the digital aspect we a newly designed website. Armed with a new rebrand, this meant we could have a free reign to flex our creative muscles whilst building content, making it easier for prospective customers to explore and find out about all the services they could offer. The new website is powered by a highly customised WordPress CMS installation, enabling their PR team to add new content and even products easily. We planned the information architecture based on a phased approach, organising the different types of products, services and other related content around the user’s journey. We aim to fine-tune the experience based on the data we are now evaluating from a conversion rate optimisation point of view. In terms of driving targeted traffic, Brave’s internal digital marketing team are tasked with the job of planning and implementing SEO, display and Social media ad strategies. 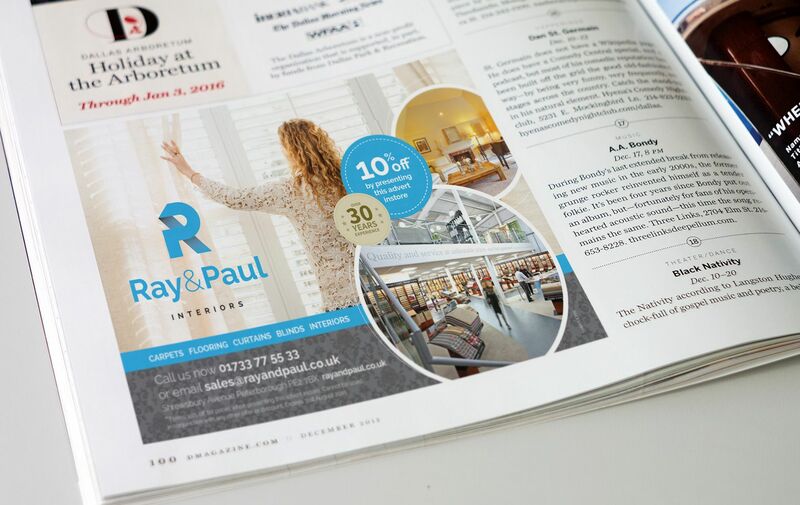 During the entire the project, our intentions were to reflect a sense of personality, high level of service, and the care driven advice that Ray & Paul Interiors offered. 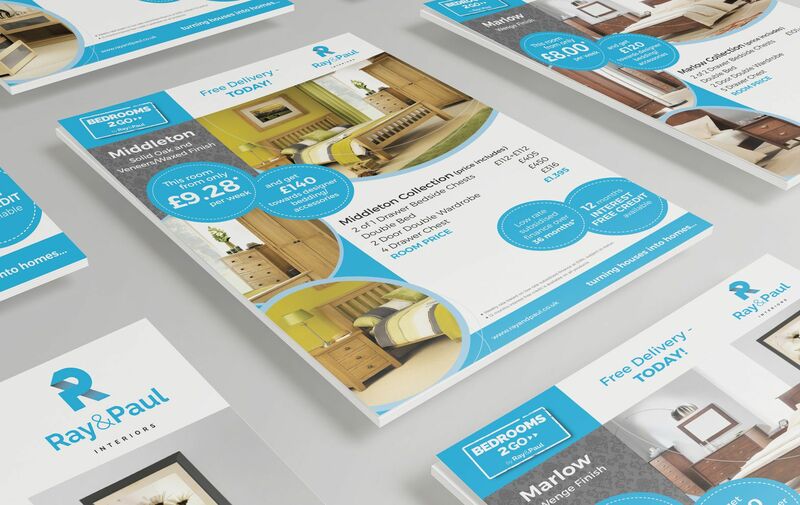 Whilst learning about their service we wanted to make sure all brand collateral (be it offline or online) was a true extension of what they stood for – a family run business, driven by a passion for both customer service and product.